From the start, I could already tell that this was the kind of novel that you either hated or would find oddly interesting. I couldn’t quite decide for myself which category I was in until a lot later into the book. The first few chapters were more than enough to cause a lot of readers to doubt their ability to continue on with the story. I swear, all that happens is this inner monologue that just continues on and on in our protagonist’s head. She’s explaining kind of what happened to this world that we’ve dropped into, getting us readers acquainted with the terminology and the events leading up to present day. Yet the author chooses to do this in such an odd manner. Well, let me tell you, dear reader. Our girl Joy is sitting on a train travelling to the great city Apex where she has been dispatched to serve her duty by orders of her Uncle, a great chief of police of sorts. And while she’s on this long, LONG train ride? She’s basically narrating all these things in her head. There is NO dialogue whatsoever for the most part. The odd sentence exchanged with a train steward checking on her maybe, but that’s the first several chapters. It was a little exhausting. And it wasn’t just some narration. The author would switch over to second-person writing. Like how I’m writing to you reading this right now. It’s like Joy is telling us specifically, as audience/readers, using the word you to explain things. It was just a bit weird, in my opinion. So here is this whole giant monologue (for the most part) taking up our first impression, with a huge information dump on our heads right from the start. And it wasn’t all made clear immediately what the different terminology meant either. 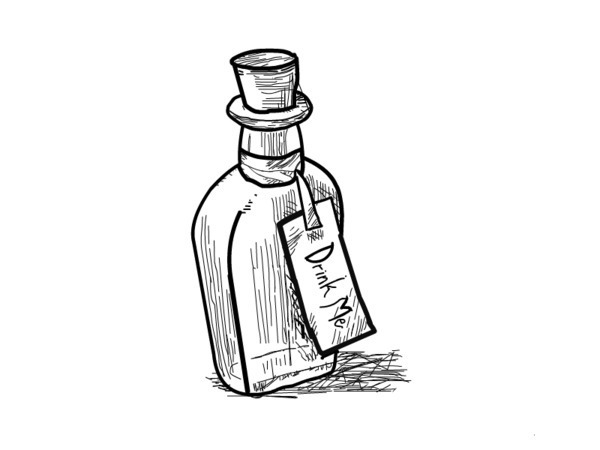 It took a while into the story for certain things to make some sort of sense….Talk about the need for patience. But if that didn’t deter you, then maybe the slow pacing of the plot after she arrives at Apex and reaches Hunter HQ might. Joy is getting used to the area and it’s all fairly new to her, growing up in the Mountains with her Masters in a Monastery setting. Oh, all these references I just randomly dropped into the previous sentence? Well, get used to it. That’s how the story was written too, until you started piecing together her history, with confirmation in Joy’s monologue a little later. Anyway, it wasn’t all peaches and cream. I think that’s fairly obvious with a lot of other reviews I’ve seen floating around. I was kinda miffed at all the different present day references Lackey used, and her need to change their spellings into something that sounded the same but just wasn’t. For example, vegan became vaygen. Like. What the heck? And champagne into Sham-pane? And she definitely brought in some references to Christians, calling them Christers in the book. If you can’t tell from reading this, I’m shrugging my shoulders at all this. I find it absolutely unnecessary but oh-kay….Whatever floats her boat. All right. You may now wonder why this rating is still so high? Why not a 2 star? That….is a mighty good question. I may have found a lot of things odd in the beginning or just annoying, but I couldn’t quite stop myself from finishing. The world was rather intriguing. All these monsters, otherwise known as Othersiders, were well-described, and related to all sorts of religions and mythologies. Even the odd vampire was featured. And the Hunters’ abilities, as well as their Othersider sidekicks called Hounds were purely fascinating. I loved reading all the Hunts that Joy went on, either solo or with her newfound Hunter friends in the big city. So even though the beginning was mediocre in execution at best, if you stuck around long enough, I think you’d be drawn into the plot. There’s plenty of action battles described, to the point you can picture it as if it were a movie unfolding before your eyes. Not a whole lot of romance highlighted, but there’s some romantic interest around to satisfy romance lovers. And plenty of intrigue into possible conspiracies and why there’s an increase in sightings of Othersiders where there should be none. I will say this to conclude. 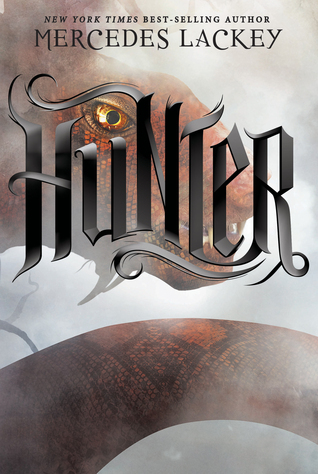 Hunter could’ve been written a little better, especially in the first few chapters where hooking readers in are crucial, but it has a ton of potential and stands on its own with originality in world building. The style of writing is less conversational and more descriptive, reminding me of writers in the past like L.M. Montgomery, which is a huge compliment. It sticks out in the YA genre, and I do like the sense of action being highlighted in this way. There are also so many questions left to be answered going into the next novel, but the ending was more than satisfactory, and might I say, ironically the best scene to have concluded it at. There were definitely pros and cons to this book, and it’s not a book for everyone. The pacing can be slow at times without the plot progressing hugely if you look at it in the big picture. The beginning was one huge monologue inside Joy’s head that could kill a lot of readers’ interest, and there are minor irritants like using modern day words but re-spelling them to make it look “cool” and “futuristic”. However, if you can get past that, the world building is superb and the action Hunt scenes are written with such detail that it’s like a movie in your head. Plenty of questions are left unanswered, but enough of the central mystery is touched upon that it still satisfies. I don’t recommend this for people who get bored easily, but Hunter is definitely unique in the YA world.